Lucky for Xiaomi, the Redmi 5 has actually been around since December 2017, and as such should have have gained more grounds against competitors already. One of such formidable competitor is the just recently announced Huawei Honor 7C which pack almost similar specifications with the Xiaomi Redmi 5. In fact, the Huawei Honor 7C can do almost everything the Redmi 5 can do and even do it better, especially in the camera department, wherein Honor 7C packs a dual rear sensor as against the single sensor on the Redmi 5. Some of the similar specifications shared by both smartphones includes an 18:9 display, Snapdragon 450 CPU, up to 4GB RAM, fingerprint sensor on the back and a metal back with almost similar pricing. so here is a quick look at the specs of both smartphones. But is there really a clear winner in the comparison Table above? I don’t really think so. At the tail end, it all boils down to your personal preferences or brand loyalty as the case may be. 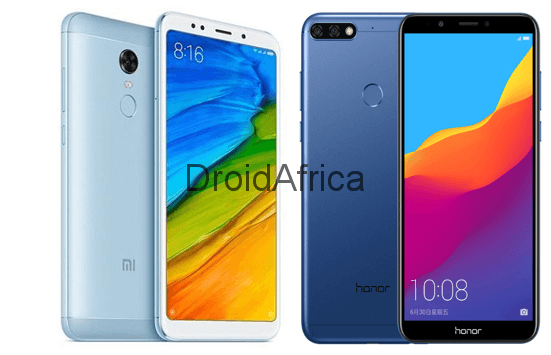 While some persons might choose the Honor 7C due to it Camera promises, other folks might prefer to go for the Xiaomi Redmi 5 to benefits from the rich customization of it OS and the assurance of Android updates.